Our busy retail shop is situated in the heart of the bustling and picturesque Yorkshire Dales market town of Settle, North Yorkshire. 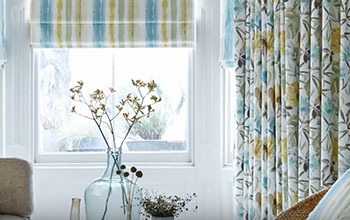 Inside you will find a superb range of hundreds of fabrics for you to choose from which we will be happy to make into your quality made to measure curtains, roman, roller, vertical or venetian blinds. Just bring us your measurements and we will be delighted to help you achieve the look you are hoping for whether it's pinch pleat, pencil pleat or eyelet curtains, roman, roller, vertical or venetian blinds; cotton, wool, linen, manmade, velvet, damask, brocade or plain weave. All our quality blinds are fully guaranteed and made locally and if you unsure about measuring we are happy to measure for you if you are within the surrounding area. Having access to high quality local seamstresses ensures you get the best at an affordable price and you can have matching and coordinating bespoke lampshades, tie backs, bed spreads, bed runners and cushions too. We are also happy to provide alterations, so if you aren't ready for new and you already have curtains, we can shorten them for you or add in a coordinating border to make them longer. 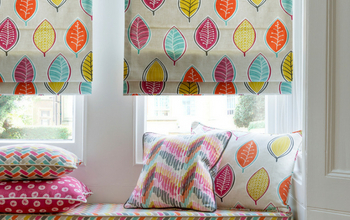 Complementing our beautiful range of bespoke curtains and blinds we have a wide selection of readymade curtains, cushions, throws, bedding, rugs and mats, lamps and lampshades, curtain poles and accessories...please visit us and take a look at the fabulous range within our retail shop showroom. With a high-quality, professional friendly service and value for money, customer satisfaction is our highest priority. All our products are sourced from leading UK suppliers (locally where possible) and we supply to Settle and the surrounding areas.